Nursing staff in the NHS fought hard last year to overturn the 1% pay cap. Thanks to your campaigning, the cap is scrapped and we now have a proposed pay deal that provides pay reliability in a time of great political and economic uncertainty. Analysis: What will the pay deal mean to you? Everyone has lots of questions about the deal. To be fair, it is quite complicated, which is why we are waiting a few weeks before starting to consult members – we want to give everyone a chance to find out what the deal means to them. The investment from the Treasury is unprecedented, and means that a key requirement from our nurses – that the NHS should not need to fund the pay rises – has been met. This is new money for the new pay rates. We called for a pay rise that was more than inflation, not less, and this has been achieved. If predictions prove incorrect and the rate of inflation rises in the third year, we will revisit the deal. Many demanded there should be no change in unsocial hours payments. This has been achieved. There were also pressures on sickness and absence pay – this has remained unchanged and there has been no reduction in annual leave. These are all significant gains amid calls for more productivity. The pay structure has been simplified so that staff will reach the top of their pay band more quickly, and will get promotion that really means promotion. To reduce the overlap between pay bands, we’ve managed to secure a pay increase at the start of the band and prevented a decrease at the end of the band. The government has also set aside funding for Scotland, Wales and Northern Ireland to replicate the pay framework if employers, governments and trade unions agree to it. I appreciate this will not solve all our problems, but it is a significant shift in government policy that has been forced by nurses themselves. That is why we are recommending that you accept this deal. The RCN’s consultation period begins on April 23. Click here to find out more about the pay deal. 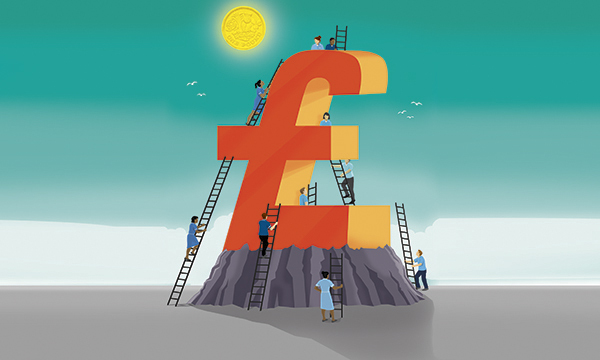 Readers panel: Will the pay deal ease the recruitment and retention crisis?